Seeing a car on air is always a sight to behold and Jitesh’s RunX Rsi is exactly that. Neatly sitting on a set of Porsche wheels the word elegance comes to mind when you see this car rolling down the road, inches off the ground. This car has a very minimal feel to it, nothing to over the top. There are a lot of RunX’s out there but few are as classy as this. I decided to shoot the car just down the road from gateway, in the very upmarket business park area. The car just looked so right in that area and stood out immensely from the other cars. Once Jitesh had positioned the car, our faces lit up with excitement as the air was released and the Porsche wheels tucked neatly into the wheel arches, with the mud flaps and exhaust millimeters off the ground. 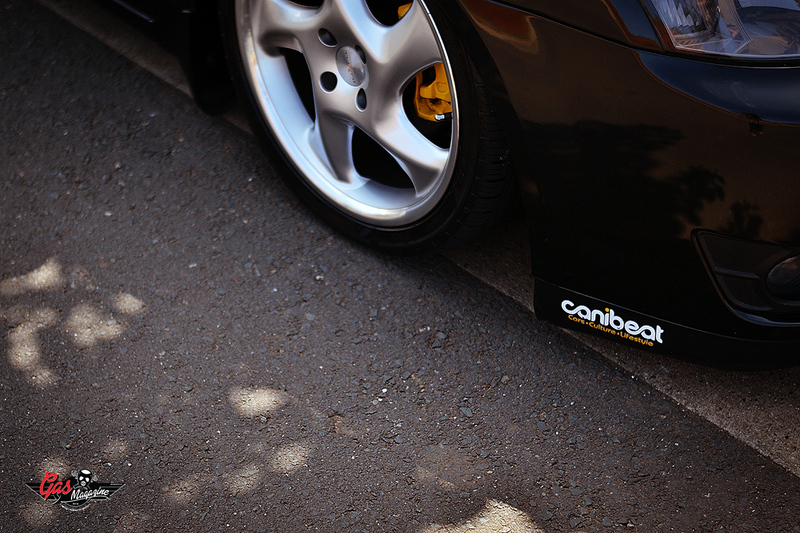 Looking through the lens, I couldn’t help but smile the whole time, this car just looked so dope slammed. Jitesh, being a huge fan of the RunX has owned 3 of these awesome cars and has always wanted to bag one, the result is mind blowing. The interior of the car is just as clean as the exterior, mostly stock but with a sneaky little air pressure gauge between the seats for the air ride system. Behind that you’ll find the switches that make the car go from low to scrapping the ground low! All very neatly done. Apart from the air ride, Jitesh has done a few mods to the engine as well, keeping it mostly stock with the 1.8 VVTL-I engine but with an Injen intake fitted to help her breath easier and a performance exhaust. The combination of this makes in the region of 147kw and it sounds sweet as well. Jitesh would like to do some more engine mods in the future but for now he’s quite happy with the way she is and I’d have to agree with him. Although Jitesh isn’t involved in motorsports, he is part of the Durban X Owners Club and while shooting the car he showed us a sweet video he made of the club, I can honestly say I have never seen so many RunX’s in my life. It’s great to see guys spending a lot of time on their cars getting them to look as dope as possible. Jitesh’s first car was a Toyota Corolla and to this day he’s owned 3 Toyota RunX’s, you can get a sense that JDM flows through his veins, and I have to say these are some pretty sweet cars. Everyone has their dream car and when you ask them that question, not many people can give you an immediate answer. There’s a lot of thought that goes into choosing your dream car but for Jitesh, he went with the Audi R8. Not many people I know have a specific car in mind as their dream car; I say you should have at least 3. 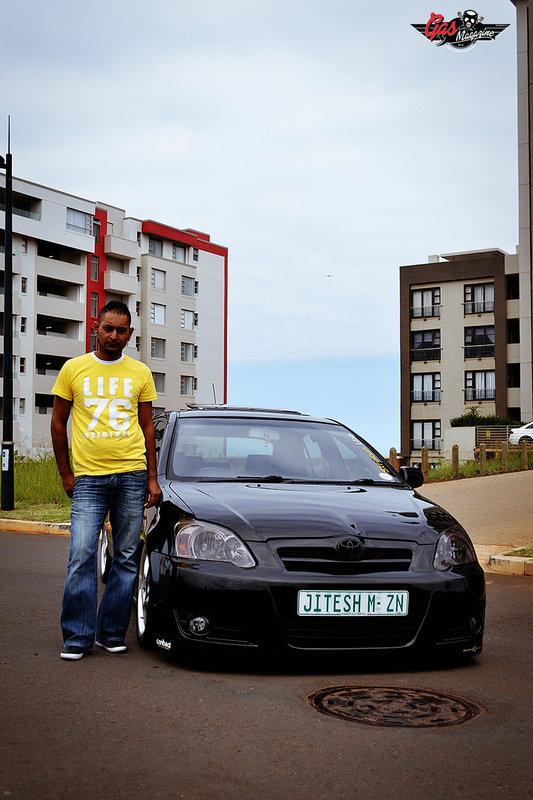 Overall Jitesh has a very neat ride that definitely draws a lot of attention; it’s great to see more cars in SA being bagged. Jitesh would like to give a shout out to his Club Durban X Owners and a big thank you to his friend George, for assisting with the build.